Amazon.com: Eat to Live: The Revolutionary Formula for Fast and Sustained Weight Loss 9780316829458: Joel Fuhrman, Mehmet C. Oz: Books. I thought this book has some interesting things to say. I learned many things about nutrition and how healthy people have certain behaviors. Nice to read. I would suggest that others could benefit from reading it as well. Amazon.com: When the World Calls: The Inside Story of the Peace Corps and Its First Fifty Years 9780807050491: Stanley Meisler: Books. This was well written but a little too much detail. I felt overwhelmed with facts and sometimes felt the narrative was lost. Still he is a good writer and if you have an interest you will enjoy this book. I’m on the fence with a recommendation. It is hard to imagine people are this committed to Peace Corp history. 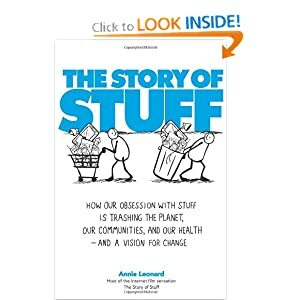 Amazon.com: The Story of Stuff: How Our Obsession with Stuff Is Trashing the Planet, Our Communities, and Our Health-and a Vision for Change 9781439125663: Annie Leonard: Books. I linked to some videos about this last year here. I was surprised with this book. It is a real mixed bag. It gives you some important facts but it fails to put those facts into proper context. It goes from over-explaining obvious concepts and treating you like a child, to under-explaining concepts. It tries too hard to lead you to conclusions and not presenting the evidence and sharing what the experts believe. I would suggest reading it, but critically question its assumptions and try to ignore some of its irrelevancies. Amazon.com: Im Dreaming of a Black Christmas 9781594487750: Lewis Black: Books. I enjoy Lewis Black’s comedy but this book wasn’t funny. I couldn’t even finish it honestly. It had way too many wordy things that just felt like he was taking up space. You got the impression that he wasn’t really interested in this book. I would avoid it. 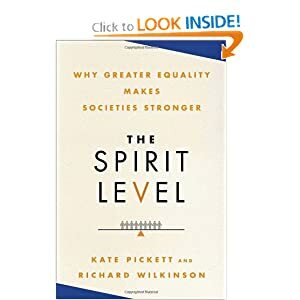 Amazon.com: The Spirit Level: Why Greater Equality Makes Societies Stronger 9781608190362: Richard Wilkinson, Kate Pickett: Books. I really like this book. It has plenty of facts and well-reasoned arguments. It should be required reading in high school. I learned many things from it, but the most surprising is the way that inequality hurts the rich and/or educated as much as the poor and/or ignorant. Wealth isn’t a buffer against societal problems. Amazon.com: The 4-Hour Workweek, Expanded and Updated: Expanded and Updated, With Over 100 New Pages of Cutting-Edge Content. 9780307465351: Timothy Ferriss: Books. This book is garbage. Don’t waste your life reading this. I don’t even want to waste my time(related link) writing about it. I wasted enough reading it. Amazon.com: Say Everything: How Blogging Began, What Its Becoming, and Why It Matters 9780307451361: Scott Rosenberg: Books. So on one hand this was an interesting book about the history of blogging. 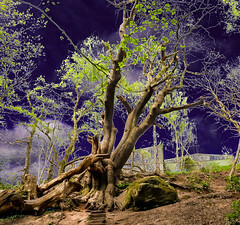 On the other, this was tedious and doesn’t give you a clear direction to go with your own blog. Worth reading. Amazon.com: Practically Radical: Not-So-Crazy Ways to Transform Your Company, Shake Up Your Industry, and Challenge Yourself 9780061734618: William C. Taylor: Books. 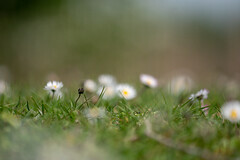 It is interesting isn’t it? Companies that are often corporations have legal status like a person. Yet when it comes to making decisions, they often forget to think like one. Many times decision making at the top of the company is completely removed from the reality of the people on the front line. The best companies like Facebook, Apple, Google know that to be useful they have to creatively find ways to make their customers life easier. The companies that would read this don’t need to, and the ones who do need to read it, won’t change. People don’t change until often things are painful, and often not painful enough for CEO’s until their own situation and salary is affected. So should you read this? It is wordy but has some interesting ideas. I am on the fence with this one.